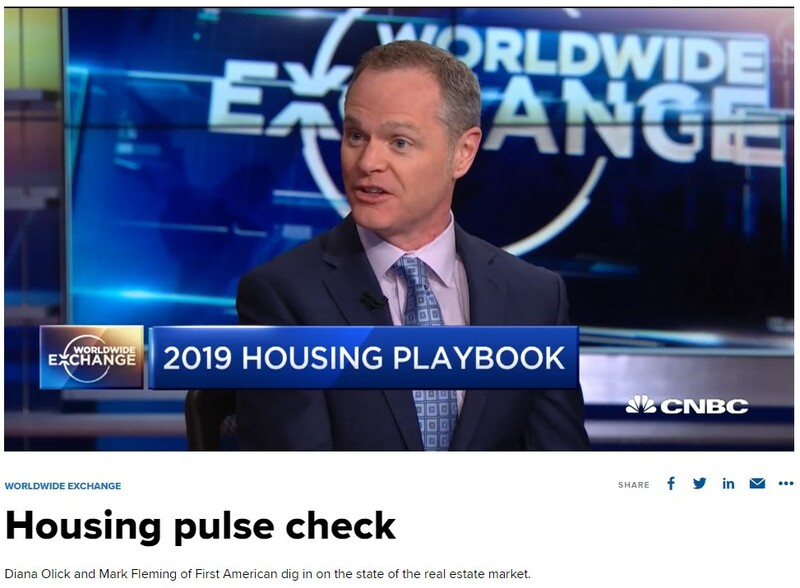 First American Chief Economist Mark Fleming was interviewed on both CNBC and Yahoo! 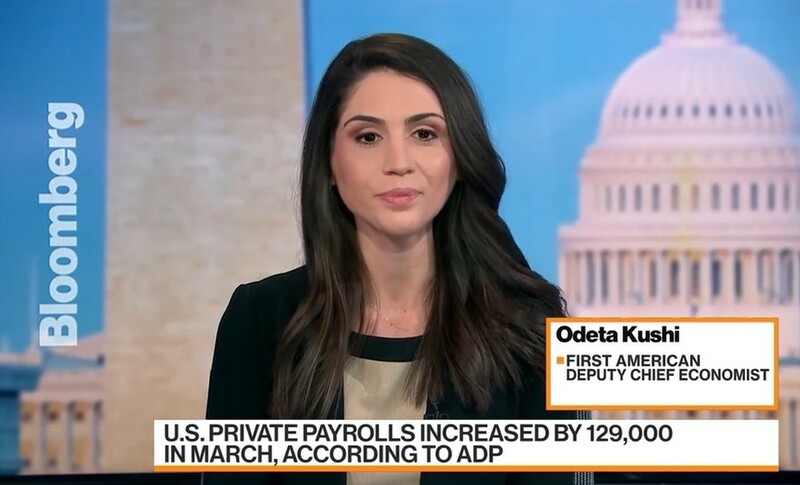 Finance earlier this week and discussed the outlook for mortgage rates in 2019, the impact of student debt on millennial first-time home buyers and how baby boomers aging in place is limiting housing supply. 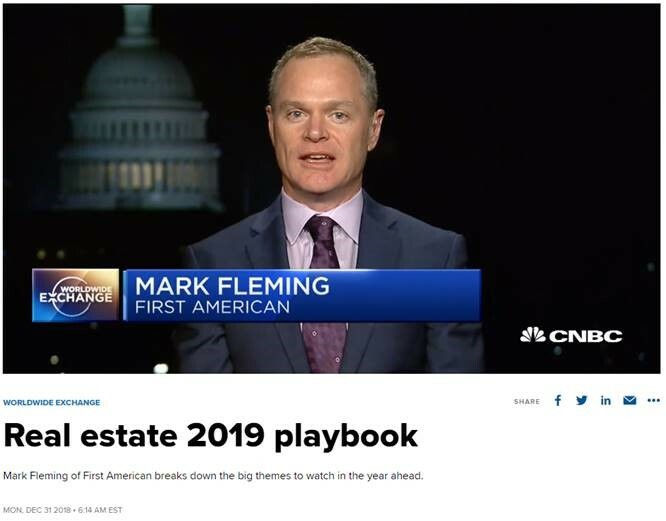 First American Chief Economist Mark Fleming was interviewed on CNBC earlier this week and shared his perspective on today’s housing market and the outlook for 2019.